With all the warnings about insulation being a nasty, nasty job, I certainly wasn’t expecting to enjoy it. But indeed I did! 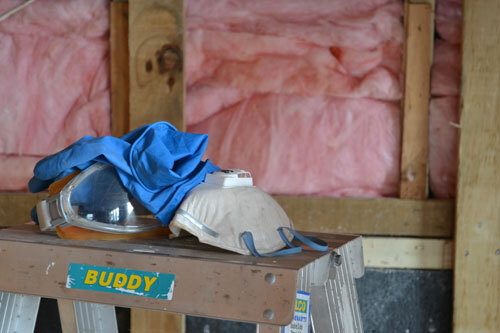 When I saw all that fluffy goodness filling out my walls I got warm fuzzies! (And I don’t even mean the itchy kind!) Plus it didn’t take as long as I thought – a few hours while the little one slept in the afternoon, then another hour or so that night and voila! Done! Look at the lovely fluffiness – like a little fluffy chicken! Even more exciting is this is now all covered up with Gib… but I have to get some more photos first. Come back for that in a couple of days! 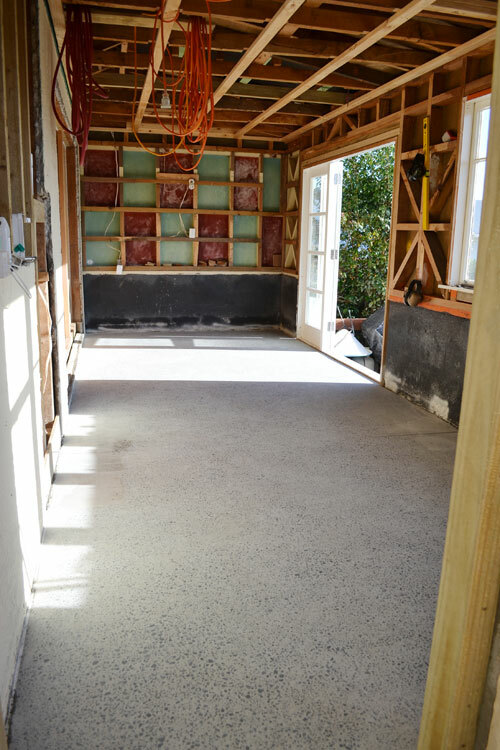 This entry was posted in DIY, Our Renovation and tagged bradford gold, ceiling, concrete, diy, gib, insulation, pink batts, walls on May 30, 2011 by Jolene. It’s a long way to go to get Pink Batts, but essentially that’s what we’ve just done! On the big OE a few years back we flew Emirates to London and got some points that were expiring right about now. After determining there were no “free” trips to Oz to be had we turned to the shopping rewards instead. With a handful of useless items available and anything marginally interesting not available for shipping to NZ we opted for the Mitre 10 gift cards. One measly $50 gift card each after something like $2500 spent – I don’t even want to work out the percentage. 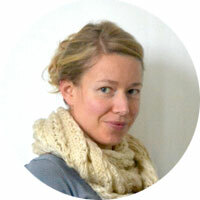 R2.2 – we opted for a higher rating, but cheaper quality. 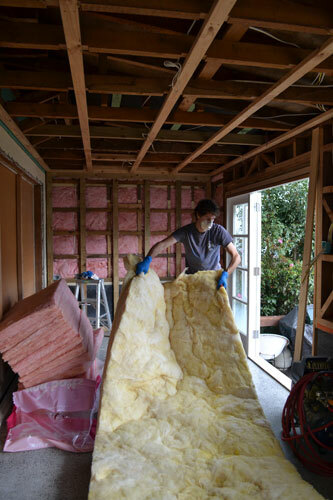 Being an old house there is little (assuming no) insulation in the other walls so while we’d love to go all out and get natural wool insulation it doesn’t make a whole lot of sense to spend extra money when it’s not going to be a completely insulated shell anyway. 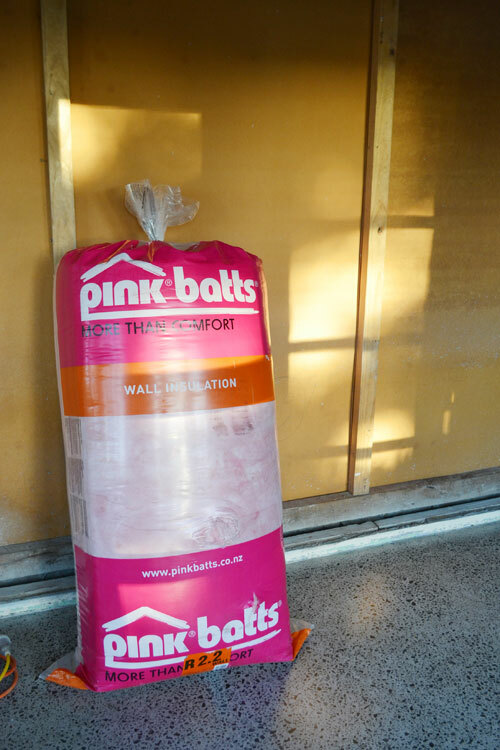 So all the way to London for (not even a whole bag… there was a cash top up) Pink Batts to insulate the exterior walls of just one room in the house. That’s dedication! 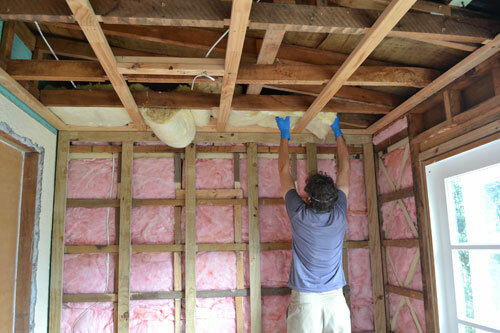 This entry was posted in DIY and tagged insulation, london, pink batts, renovating, travel on May 19, 2011 by Jolene.